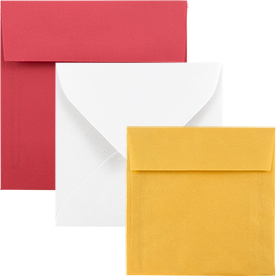 Keep your mailing balanced with our unique, hard to find elsewhere, Square Envelopes. 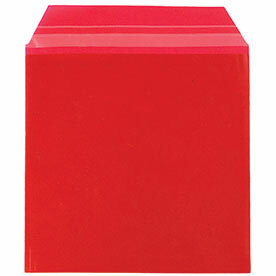 Symmetry appeals to the eye as science explains it so when your invite, announcement, or advertisement is covered with a square, all of your guests will come to the party and all of your potential clients will buy big. 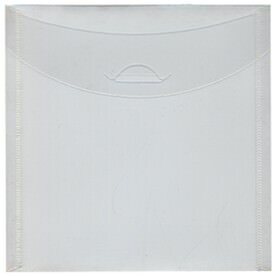 With our assortment of styles, sizes, finishes, and flaps, you'll be sure to find the perfect fit and color for you. 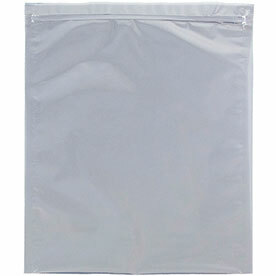 We have over twenty categories to choose from, so start browsing through our balanced beauties! 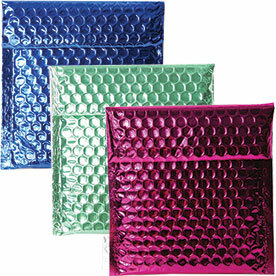 From over 50 colors to choose from, we are sure that you'll find one that fits the bill. 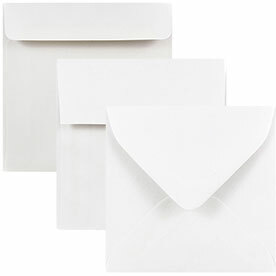 Go for our Bright White Square Envelopes for a beautiful, clean wedding invitation cover. 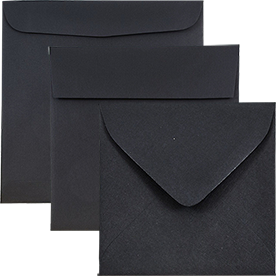 Try our Black Linen Square Envelopes for a unique cloth like finish and the perfect professional look. 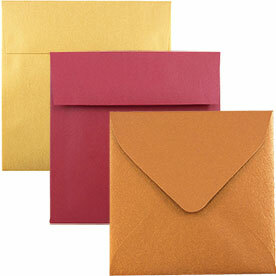 Our Stardream Square Envelopes are not only beautiful, but will bring an extra shine too! 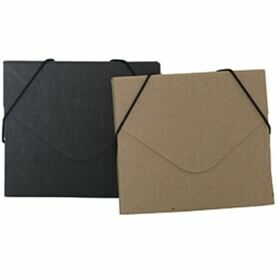 Our Dark Base Square Envelopes 5x5, 6x6, etc. 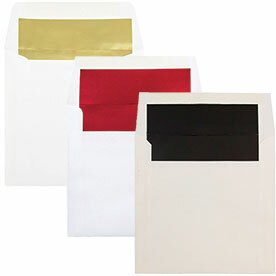 are the perfect solution to your lackluster business mail. 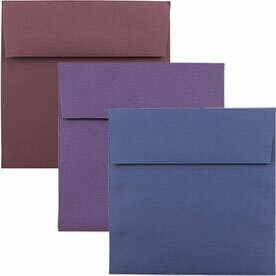 These sophisticated colors will keep your professionalism alive while creating an awesome upgrade to your style. 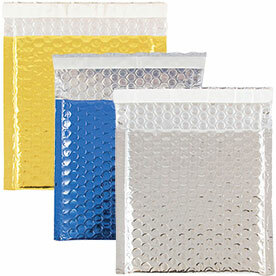 Our Square Bubble Mailers and Square Photo Mailers are perfect for when you want your mail to have a guaranteed protection from wear and tear. 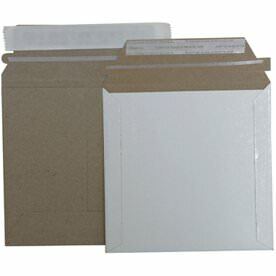 We also have a variety of Square Envelopes that are great for organizing and storing your office supplies. 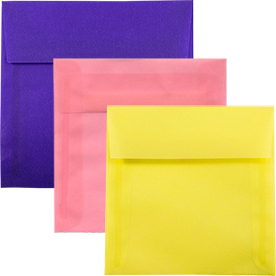 Our Square Portfolio Envelopes with Elastic Closure and our Square Plastic Envelops with Snap Closure are both great additions to your office space. 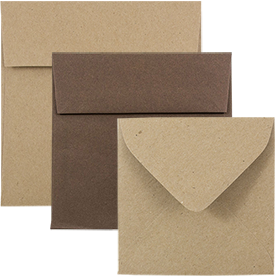 So when you want that symmetrical look that brings a contemporary edge, and are done with standard envelopes, Square Envelopes are for you!